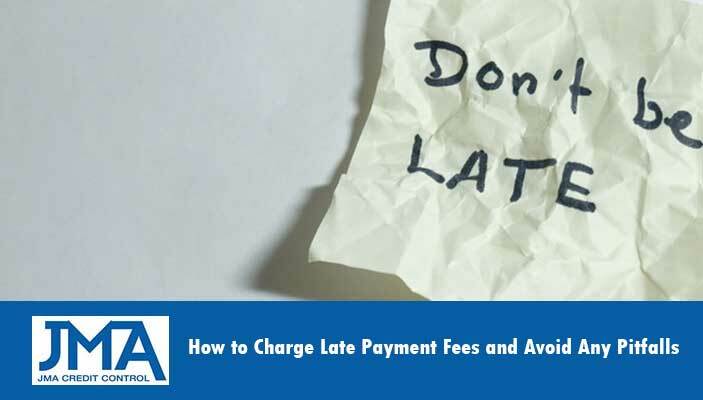 So you’re sick and tired of customers paying their invoices late and want to include a late payment fee or penalty charge into your Terms of Trade, but you’re not sure how to do it. Before updating your terms of trade you need to be sure that the rest of your accounts receivables process is functioning efficiently and encourages on time payment of invoices. You’ll also need to ensure that your new Terms of Trade are written and communicated clearly, and adhere to any regulations or legislation that may apply to your business or industry. The two main aims of including late fees in your terms of trade is to encourage quick payment of your invoices and avoid being left out of pocket for any expenses incurred whilst following up unpaid invoices, like hiring a debt collector for example. This will help maximise your cashflow which is crucial for every business. So before you start using the threat of fees to encourage fast payment let’s look at how you can improve your systems get those invoices paid more promptly in the first place. By being open, upfront and very transparent about what you will deliver and what is expected of the customer or client you will avoid confusion or disagreements when it comes time to pay. As soon as the order is confirmed by the customer, send your invoices immediately. This is one of the fastest ways to speed up payment of invoices. The customer has just been dealing with you that very day, they get your invoice and are ready to pay. Otherwise if you wait two weeks until your “invoicing day” they have already moved onto new tasks and purchases, so your emailed invoice is a bit of a surprise that they need to deal with eventually. Also if you offer net-14 or net-30 days payment terms this time-frame will start from the day the invoice is delivered. So deliver it immediately. If a customer is consistently late with payment you want to know about it. These customers can create a serious drain on your time, money and resources and need to be warned that payment is always expected by the due date. This verbal agreement will let them know you’re aware of their past delinquencies. A simple reminder email a few days before the invoice is due can help to avoid late payment. Also having a systemised follow up process can help you know what to do at certain time-frames such as calling the day after an invoice becomes overdue, or having an automated text message reminder sent. Ideally when updating your terms of service you will want to get some professional help to ensure they are written and communicated clearly, are legally binding, adhere to all regulations and legislation and cover everything they need to. Though you do need to be careful as every different business and industry can have specifics they need to include in the Terms of Trade, which is why we recommend you at least consult with a professional in this area before updating your terms. By following the steps above you will avoid the common pitfalls encountered by businesses in regards to charging late fees and recovery of collection costs for times when you need to engage legal help or a professional debt collectors. But you must also be aware of the possibility that some customers may not like this when you notify them of your new terms and that is something you’ll have to consider. Do you want these customers who consistently pay late and drain your resources anyway? If you’re terms are fair, legal and adhere to all regulations and legislation, than any reasonable customer should have no issue with them.